Sebum is an oily substance secreted by the sebaceous glands in mammalian skin. It helps to prevent our hair and skin from drying out. However, An excess of sebum can make our skin or hair oily. NOT ONLY THAT, it can also aggravate skin sensitivity. Excess sebum generated will deteriorate as skin gets more alkaline, turning into irritants to cause ﬂare-ups within the skin layers -- In other words, all the pimples and acnes will starting haunting you!!! I tried lots of oil control products before but they don't seems to work so I'm sticking to oil blotting papers to control the shine on my face. 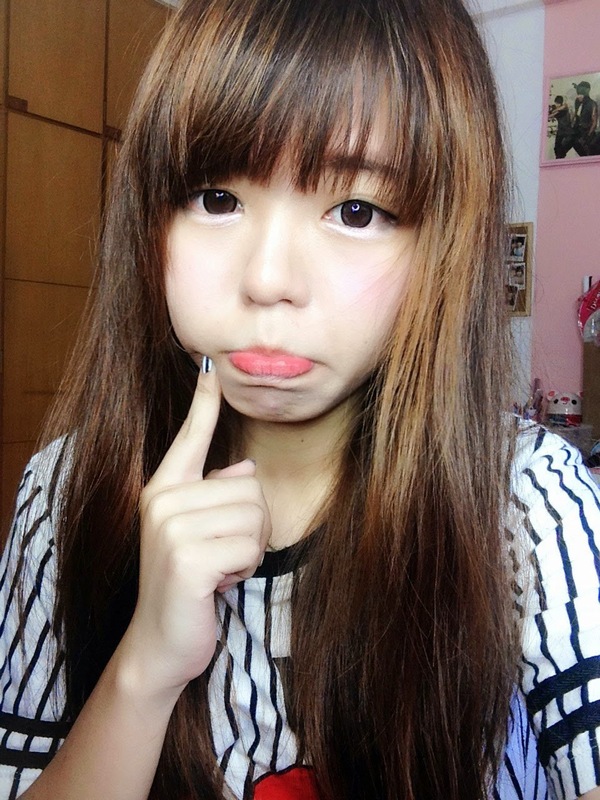 I think if I don't blot the oil away hor, you can fry an egg on my face without it sticking to the 'pan' (my face) lolol. 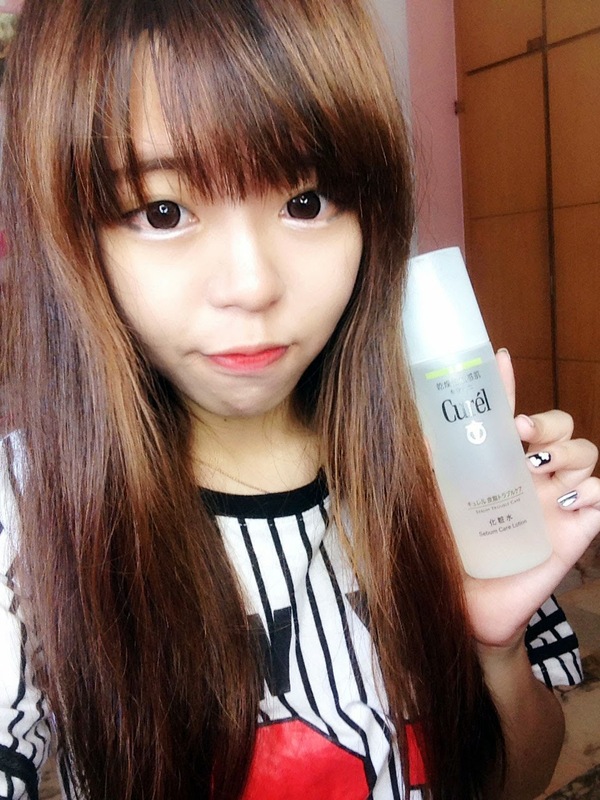 I was really like "死了need to rely on oil blotting papers for my whole life already T____T" but I was given the Curel Sebum Care series to try out! 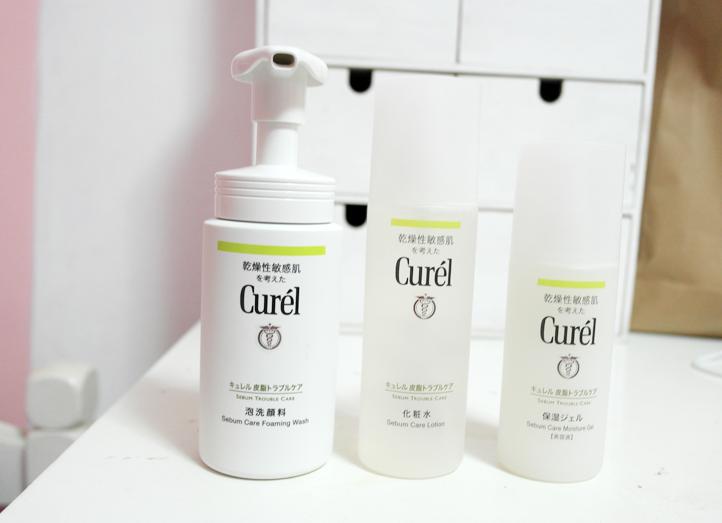 From left to right: Sebum Care Moisture Gel, Sebum Care Lotion, Sebum Care Foaming Wash. This series is specially designed for Asian skin which are usually oily and sensitive. Let's start with the Sebum Care Foaming Wash! Super duper fine foam !!!! The Foaming Wash effectively removes excess sebum without irritating the skin as the lathered foam cushions against rubbing and tugging on the skin during cleansing. I mega love foam washes because you no need to rub your hands together to product foams before you wash your face and when you rub the foam against your face you can actually feel how fine the foam is. And all is need is just 2 pumps to make your face squeaky clean!! 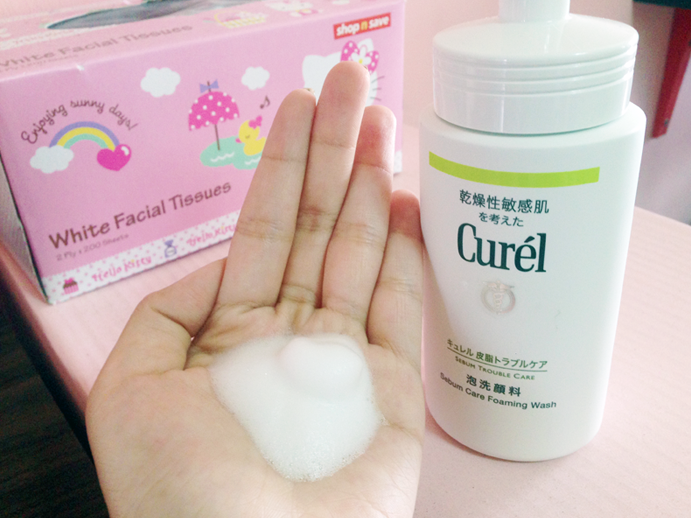 Let's proceed on to the Curel Sebum Care Lotion! You know how some lotion leave you with super sticky texture on your face even when you haven't even apply your moisturizer? It's super yucky one, who will like their face niam niam (sticky) one right?! 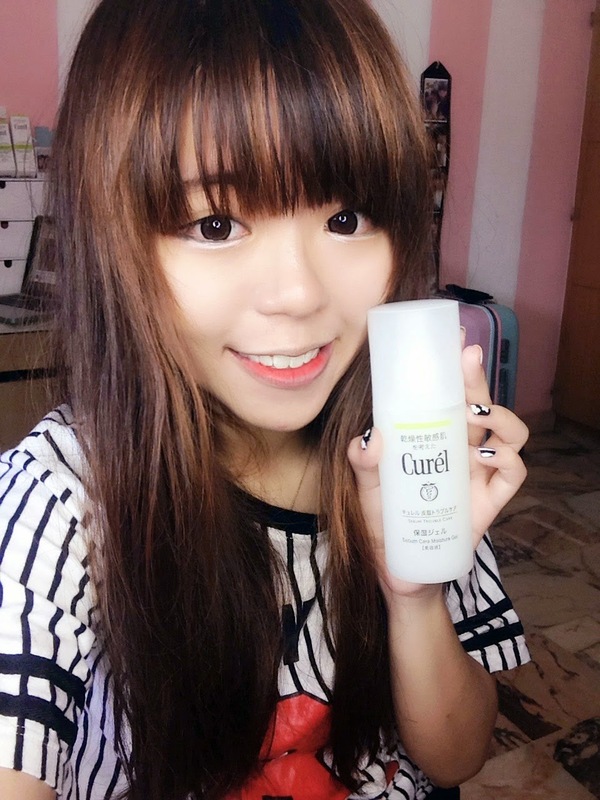 Let's move on to moisturizing our skin with the Curel Sebum Care Moisturizing Lotion! And this is not the cream kind of moisturizer but the gel kind and gel kind is especially good for people with oily skin as they are less oily compared to those cream kind of moisturizer. 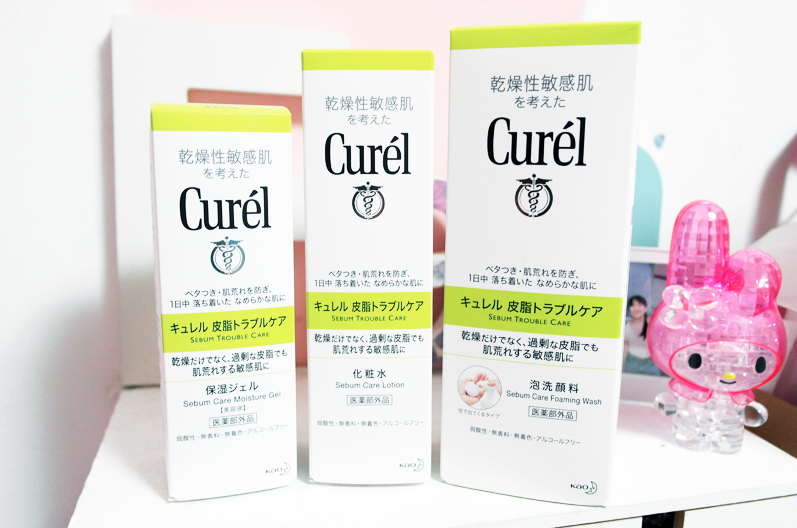 Currently the Curel Sebum Care series is my favorite range and I'm using it now :D If you have oily skin like me I will highly recommend you to buy this series! And if you wanna try out the products before buying, you just need to visit Curel Facebook's page here to get your free samples!